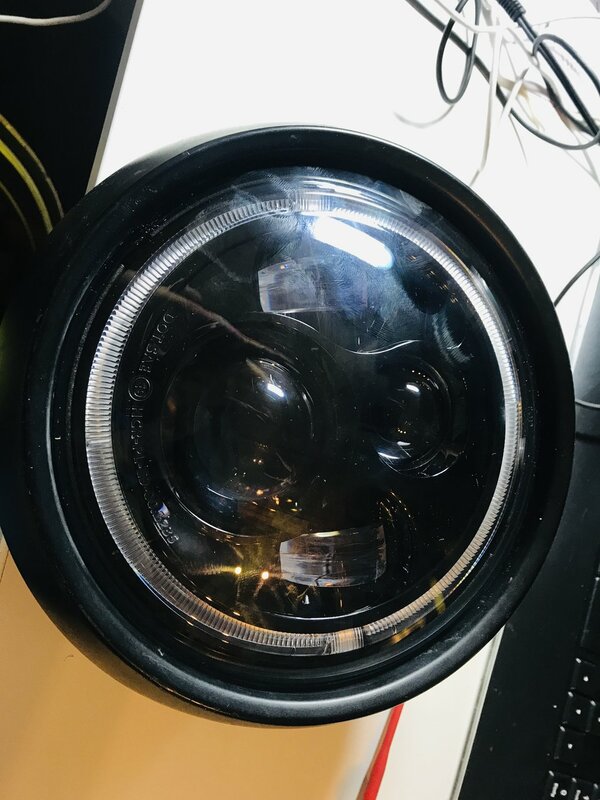 I've recently purchased a 7" LED insert to replace the old headlight insert. However, there is a little bir more room necessary. Easiest would be to use a heat gun - if the housing is some kind of thermoplastic. 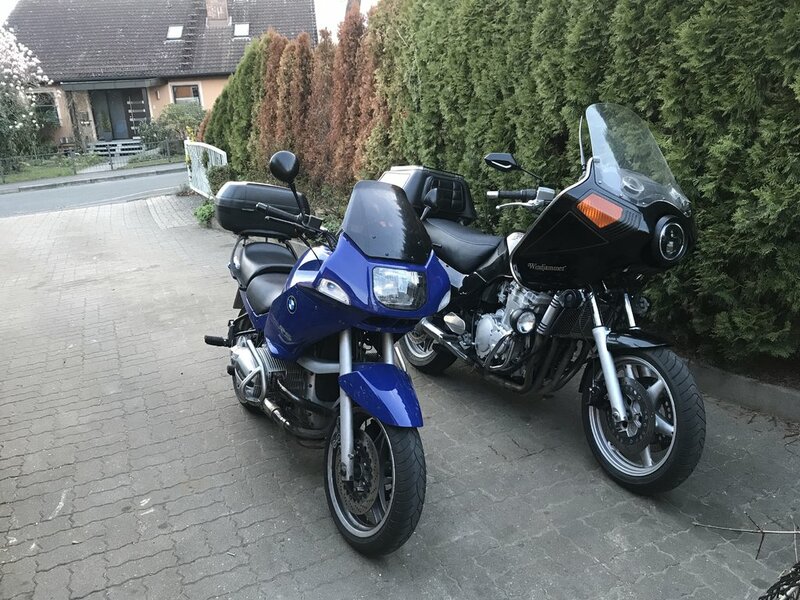 If you mean the main plastic shell of the fairing, it can be softened and bent with a heat gun and welded with a soldering iron. I haven't tried stretching the plastic with heat though. 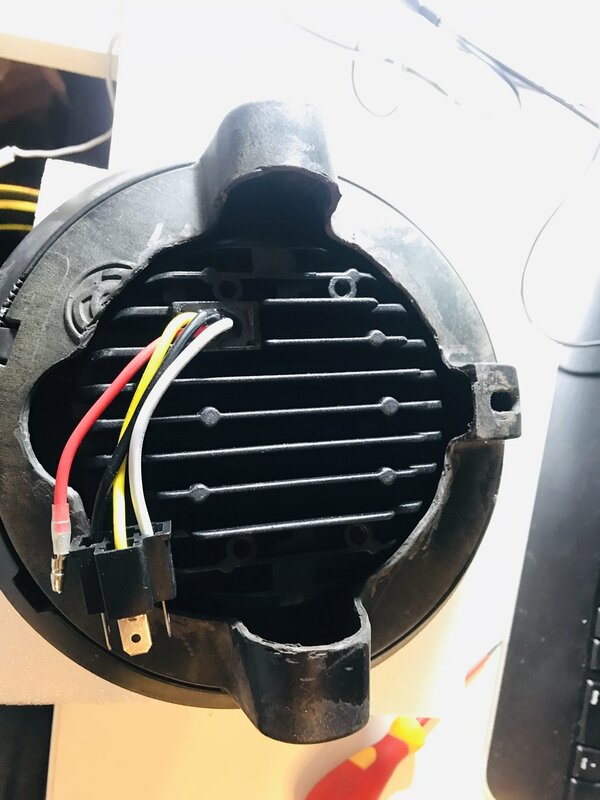 I did a little searching and a few years ago someone had cut a hole in the back of the headlight housing and thru the fairing to allow room for the heatsink on an H4 LED bulb, I didn't get the link though sorry. I would wonder if there would be sufficient cooling airflow for the LED without venting through the headlight housing and fairing? I’ve now cut an opening into the headlight housing and made the first testruns. Seems like it is working...,. However - I need to make a better photo of the headlight installed in the bike.